October 2009 is full of surprises. A few days ago, my daughter and I were sitting by the pool enjoying a warm Fall day. Now, it is so cold outside, we’re getting out our winter jackets and wondering if it’s going to snow. I remember the first time I saw snow. It happened in mid October, in my Freshman year at Virginia Intermont College. The weather suddenly turned very cold. Bristol, Virginia had a snowfall that turned the world outside my window into a fluffy white blanket. While everyone else in the dormitory stayed warm and comfortable, I bundled up and ventured outside to play in the snow. My friends shook their heads in disbelief as I waved goodbye, unable to convince any of them to come with me. 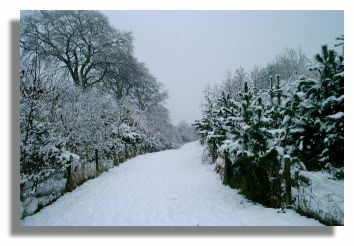 As I walked along, I scooped up snow laughing at the way it felt…all squishy and cold. 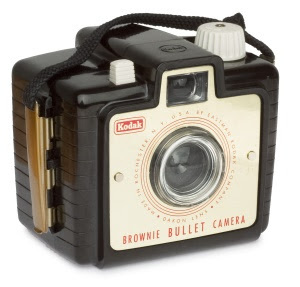 I wish I had thought to grab my little brownie camera. The street turned hilly and I found myself on a slippery patch. All of a sudden, I lost my footing and started sliding down the hill. As I hit the bottom, I looked up and saw a young man about 11 years old standing over me. He was grinning at my clumsy attempts to get back up and offered me his hand. After helping me up, he asked if he could walk with me. I quickly explained that I was from South Florida and this was my very first experience with snow. As we made our way back up the hill, he told me all about his family. Soon we were at his front steps. His Mother opened the door and seem surprised to see me talking to her son. After hearing that I was a student from the college, she invited me to have dinner with the family. To this hungry 17 year old, hundreds of miles from home, it was an invitation I could not resist. As I look back to that snowy October afternoon in 1968, I realize how special it was. I wonder if that young man (now about 52 years old) still remembers that redheaded, freckled faced white girl who wandered down his street and stayed for dinner.